Rabbi Zecharia Wallerstein is the founder of Ohr Yitzchak, Ateres Naava Seminary for Girls, and Ohr Naava Women's Institute in Brooklyn, NY. Ohr Naava is a unique program designed for women ages 17 through 120 who are interested in furthering their Torah experience. The program, under the leadership of Rabbi Zachariah Wallerstein, started out as a Wednesday evening class in a small classroom known as a "Chabura." It brought together girls who had just returned from studying in Israel, college students who needed a weekly moment of inspiration, and most of all, Jews of different backgrounds with one common goal, to grow and change. The signature of Ohr Naava is to provide a multitude of programs, absolutely free of charge, for women wishing to make the time to grow, change and further their Torah knowledge. 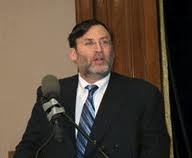 Rabbi Wallerstein's website is http://www.ohrnaava.net.